We had a rather slow news week giving way to a tight trading range on equity indexes. Chinese and U.S. negotiators have been working line-by-line through the text of an agreement that can be put before President Trump and counterpart Xi Jinping to defuse a nearly year-long trade war. As talks are not public, traders have not been able to move markets on this now ubiquitous market-moving item. A Friday tweet from Treasury Secretary Mnuchin suggesting that talks were constructive appears to be supporting equity prices going into the weekend. For the record, the S&P 500 will wrap up this week its best quarter in a decade. Idem for the Brexit situation this week. Last week the European Union granted a 3-month extension for the official U.K. exit from Europe while nothing much has occurred this week. A litany of “last ditch” votes continued this week in the U.K. Parliament, although markets now seem immune to the Brexit circus. first decline in almost two years. Even after the downward revision, however, GDP for all of 2018 was left at 2.9%. That matched 2015 for the best performance since the Great Recession a decade ago. 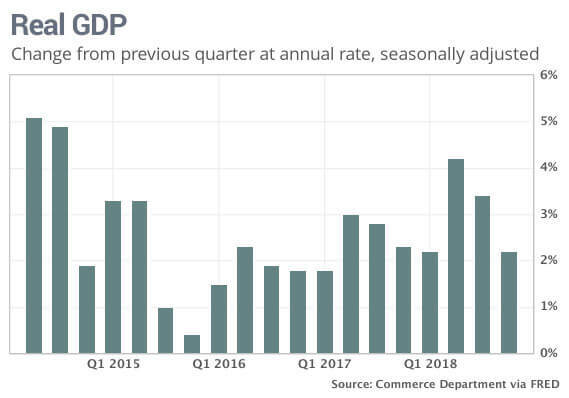 We expect the slowdown in GDP since the strong Q2 2018 level to continue through 2019. Elsewhere, U.S. macro data this week was mixed. Housing continues to look ugly. Pending home sales fell -1% in February, to take the year-over-year decline to -4.9%. Permits (1.296 million in February vs. 1.317 million the prior month) and Starts (1.162 million in February vs. 1.273 the prior month) both disappointed. The Case-Shiller Home Price Index slowed to a 6½ -year low in January. 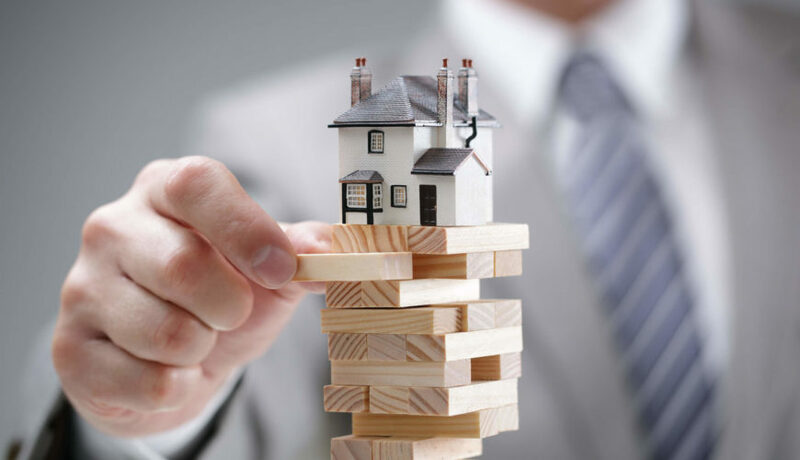 We expect that sickness in the housing sector will eventually spill over into other macro data points. The Chicago Fed’s index of national economic activity registered at a negative -0.29 in February down from an upwardly revised -0.25 in January. Recall that for this index, a reading of zero indicates trend growth, meaning that the Chicago region has been slowing now for three months. The consumer confidence index dropped to 124.1 in March from 131.4 in February, the second lowest rate in a year. Economists had forecast a 133 reading. 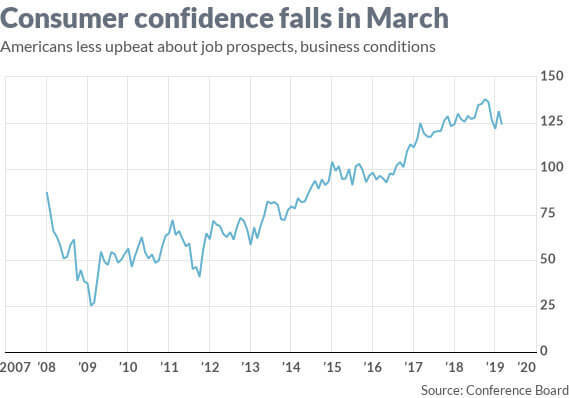 Americans grew less confident in March in the state of business and their ability to find a job, with the present situation index sinking 12 points 160.6, marking the biggest one-month decline since the middle of the last recession in 2008. 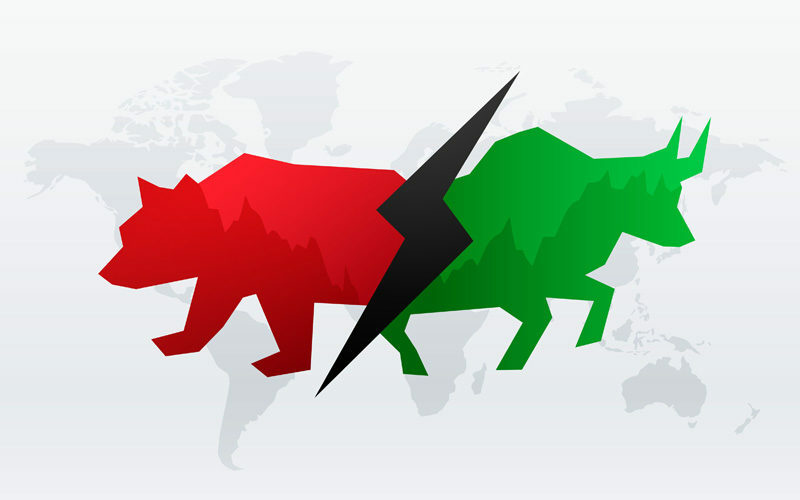 As we read the financial press and commentators on various investment websites, we have seen Bulls become more vocal in their support of this market. Not too many equity Bulls were crowing about the “solid equity backdrop” in December. As usual, the trend and recent performance in the equity indexes tends to drive investor emotions and, although very little has changed in the macro date since Q4, people are now more confident in the economic outlook with the S&P 500 up +20% from December lows. The rebound, since the initial shortcovering portion of the rally, is due mainly to program traders forcing an overshoot in equity prices to the upside – and squeezing defensively-oriented fund managers to raise equity allocations at just the wrong time. Many Bears are citing the runaway train right now in the bond market, as more investors clamber aboard to escape the perceived economic recession. 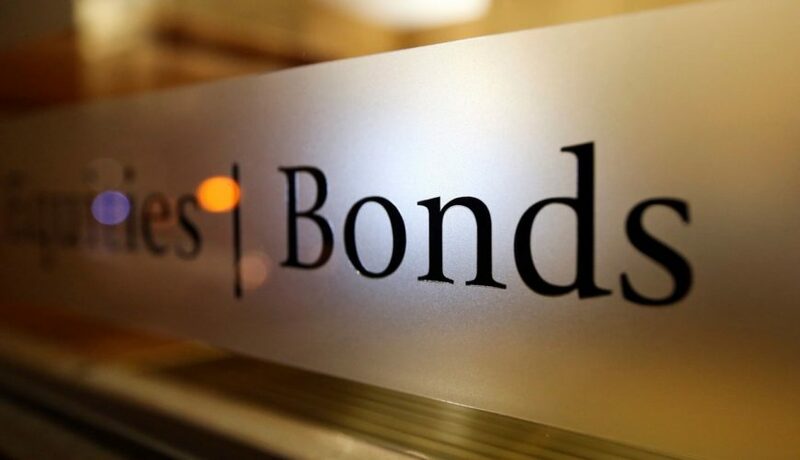 The yield on the 10-year U.S. bond is hovering at 15-month lows, yields on equally dated Japanese and German government bonds have pushed further into negative territory, and Australia’s turned negative for the first time in 10 years. The Bullish response to the bond market is now that market participants should only fear things we’d don’t know about, not that which everyone is talking about. Bulls can claim that it is hard to find attractiveness in a 10-Year Treasury yield near 2.4%. 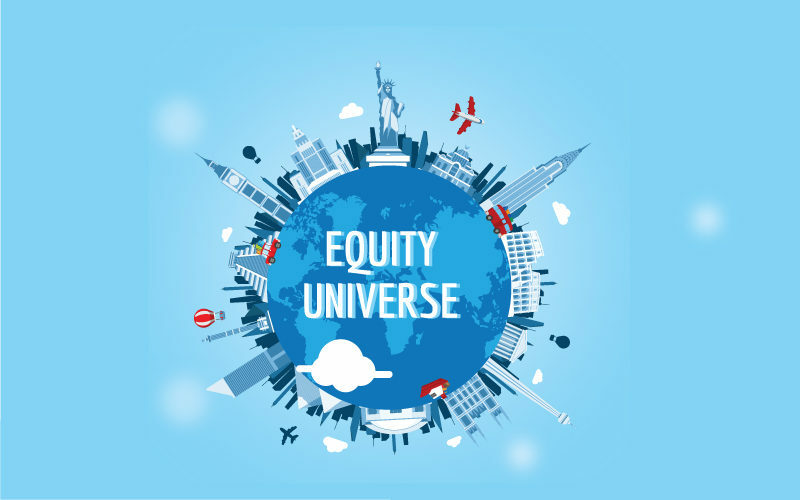 Barclays put out a note saying they suspect that such a ‘flight from safety’ (overpriced bonds) will provide a window of opportunity for equity market outperformance and recommend that tactically inclined investors should position for it. The problem with this bullish argument is that equites have been rallying with falling interest rates. Can we conclude that equities will also rise with rising bond yields (falling bond prices from flight out of bond market)? This seems like wishful thinking. 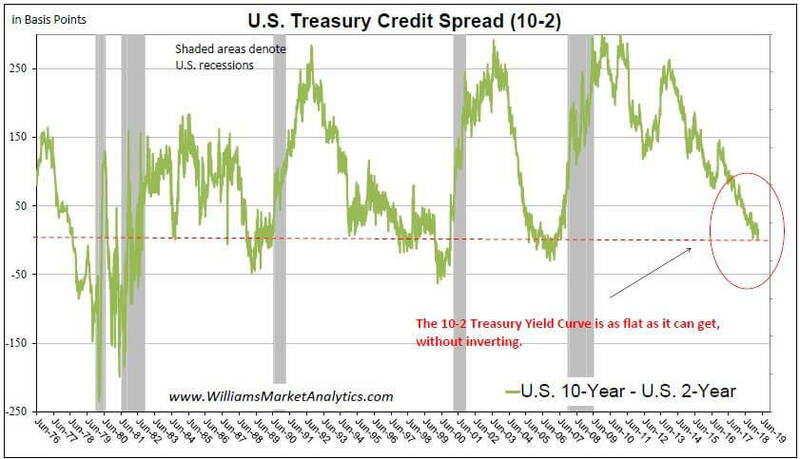 Interestingly, the recent inversion of the yield curve (while inherently negative and a precursor to recession) has been dismissed by many Bulls. 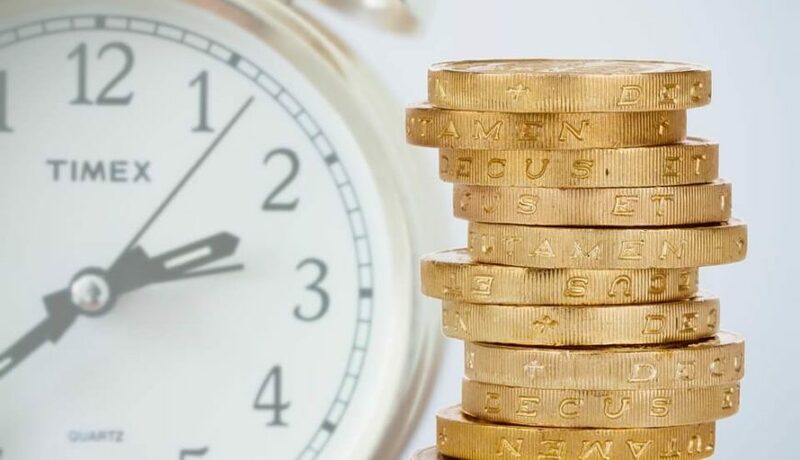 We have seen comments out of institutional investors citing the good equity returns often sandwiched between an inverted yield curve and the subsequent economic downturn. Bulls are arguing that stocks are likely to repeat a pattern that’s seen stocks, on average, gain ground in the months after the curve initially inverts — a phenomenon attributed in part to investors reallocating to equities in response to lower yields, as well as a typically more accommodative stance by the Federal Reserve. Historically, it is true that selling out of risk assets at the initial inversion of the yield curve has proceed to be precocious. We have shown in a previous Commentary (Yields Will Signal The End Of The Bull Market) that there has been, on average, a 12-month lead time between the initial 10/2 Treasury Yield curve inversion and the peak on the S&P 500. That said, it is by no means the rule, and already weakening economic data suggests that equity investors won’t be so lucky this time around. In February 2000 the Yield Curve inverted, for example, and we remember that March 2000 marked the peak of the Tech Bubble. We already see evidence of payroll growth slowing, retail sales beginning to weaken and less U.S. demand for imports, at the same time that we’re seeing signs of a corporate earnings slowdown. We note also that while the 6-month/10-year yields have inverted, we follow the 10/2 spread, which has yet to invert (the week of March 18 the spread was down to the lowest, 0.50 bp). China is also being debated by the Bulls and Bears on Wall Street. Bears say a meaningful deal will not get done as China has no interest in ceding to the U.S. Bulls meanwhile are expecting the rally to continue once a trade deal puts this headwind behind us. Stephen Roach just expressed a view that we believe to be most plausible. The former Morgan Stanley head of Asia has said that whenever the China trade deal gets done, a “sell the news” event is likely to take place. 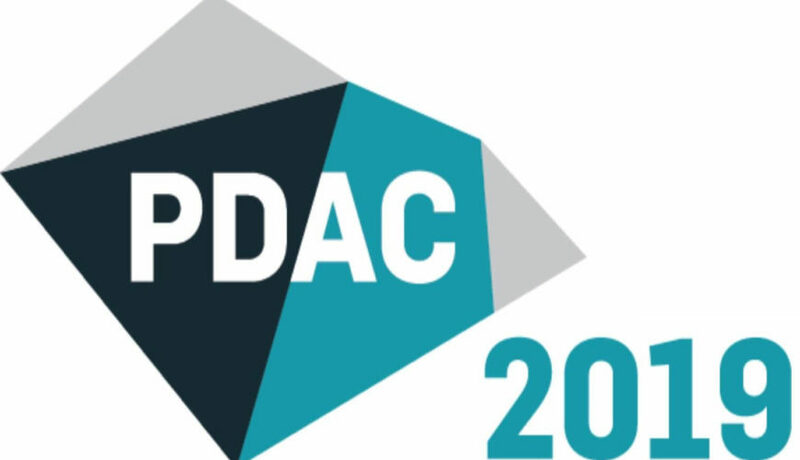 “When the dust settles, there will be some realization that [the trade deal] is not a fundamental breakthrough — that the conflict will be enduring. Take profits very quickly, which would be my sense.” We agree. Risk assets are essentially back to levels at the time the trade war began. Markets won’t run faster than before just because a splinter is removed. Bears have also been talking about small cap underperformance and stumbling earnings growth. Since the end of January and initial snapback rally, the S&P 500 is up +5.2% while the Russell 2000 has lagged (+2.6%). 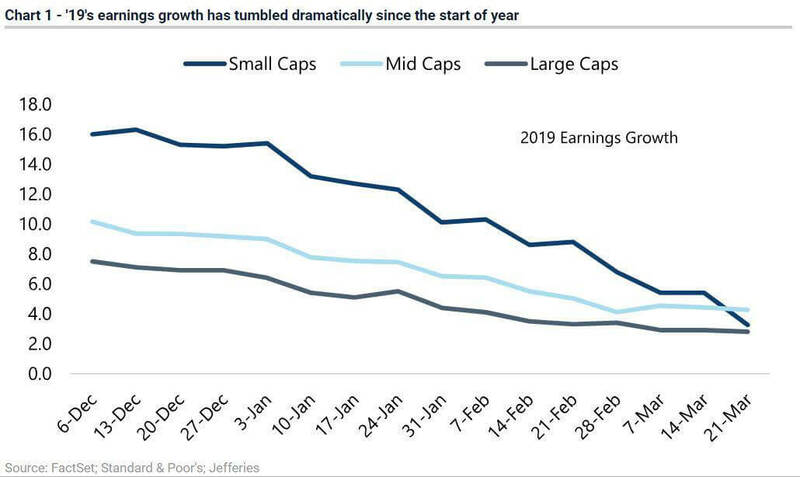 The small-and-mid-cap equity strategist at Jefferies warned clients “it could be a very ugly reporting season” for small-cap stocks given the speed and severity of cuts to earnings per share. In addition to slowing GDP growth, with a tighter labor market, wage rates will continue to come up. This trend is bound to trickle down to the bottom line. Bulls have simply been piling back into Tech, with Nasdaq stocks outperforming the small cap index over the past several weeks. 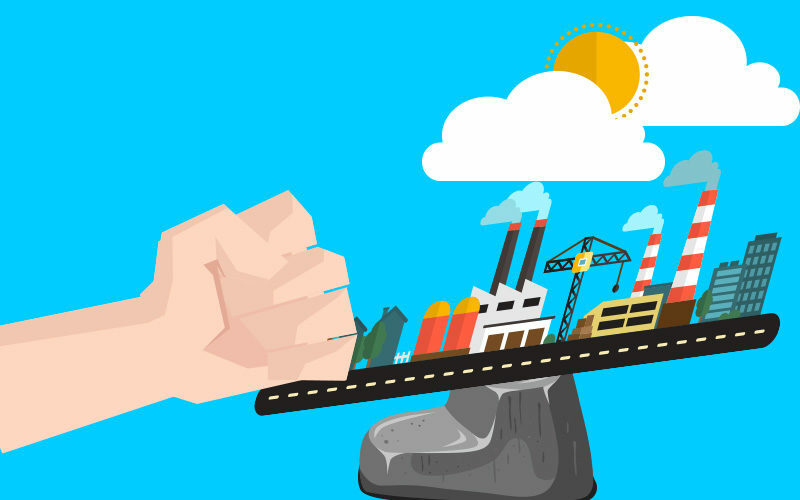 Small cap underperform may be indicating a renewed consideration for Value in this market, but this is a subject for another Commentary. As always, when the market seems to have gone too far in one direction, it more often than not pays to be contrarian. General investor sentiment was almost morbid in December. 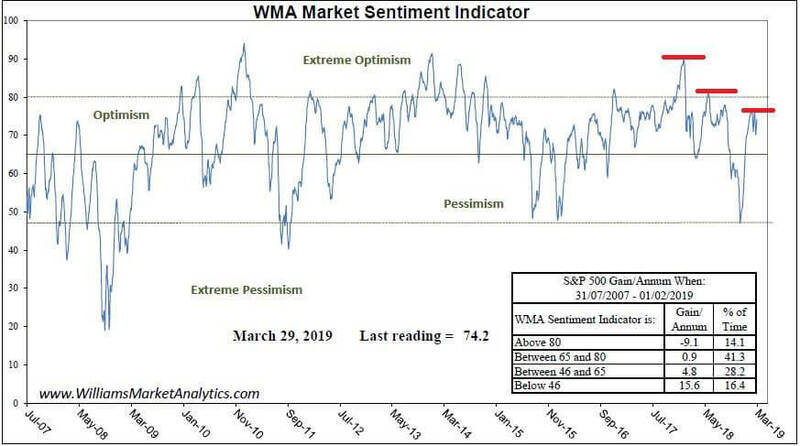 Our WMA Sentiment Indicator actually hit the “Extreme Pessimism” threshold in December. This proved to be a fat-pitch buying opportunity. Today our Sentiment Indicator is back to the “Optimism” mode – with potentially an optimism peak below the prior two peaks (red hashes). Similarly, while its hard for investors to go against “group think”, buying in a Risk-Off market then trimming back sharply on equity holdings once the market moves to Risk-On, is one of the keys to long-term portfolio out-performance. Our WMA U.S. Market Risk Indicator fell to the Capitulation mode in December (for only the third time since the Great Recession). Again, a fat-pitch buying opportunity. With our Indicator back in Risk-On mode, investors are best advised to keep dry powder (or even begin looking for the exits with more fragile portfolio holdings). The Q4 equity market meltdown brought the Bears out of the woodwork, then the Q1 equity melt-up drowned out the noise of the Bears. Articles and media quotes have recently been dominated by Bullish commentators. Sentiment has clearly recovered from the Q4 mini-Bear Market. We have been taught to go with the trend in equities until markets reach extremes, at which time investors should reverse positions. 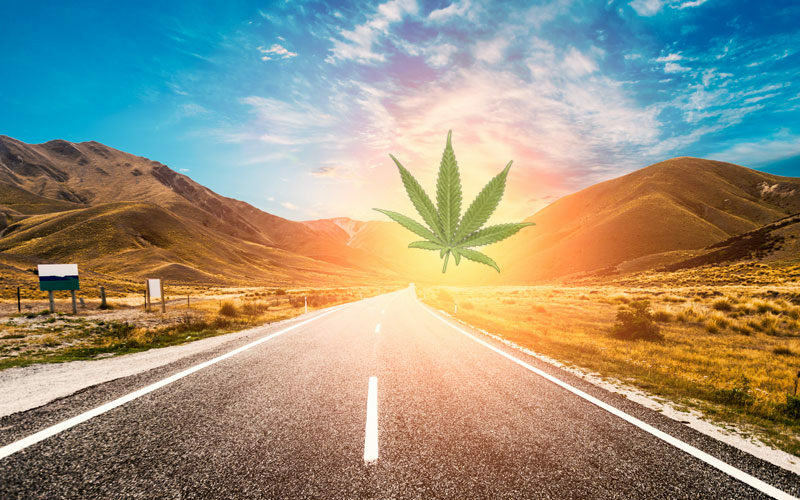 With three months of strong equity gains in the books, we believe that the next weeks should be a time for investors to get nimble.